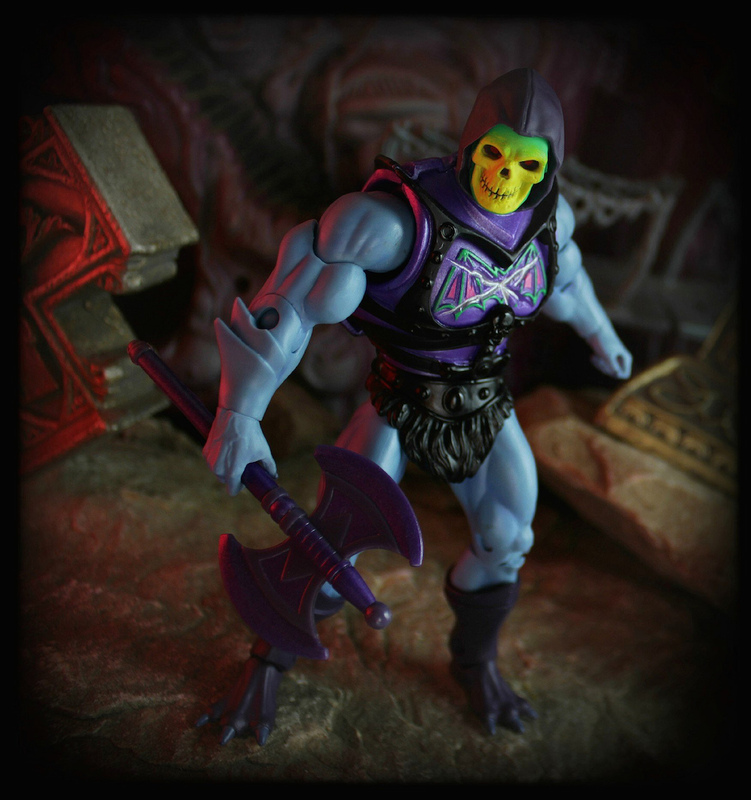 Using dark magic taught by Hordak, Skeletor occasionally creates new forms of armor and weapons to outmaneuver the Masters of the Universe. 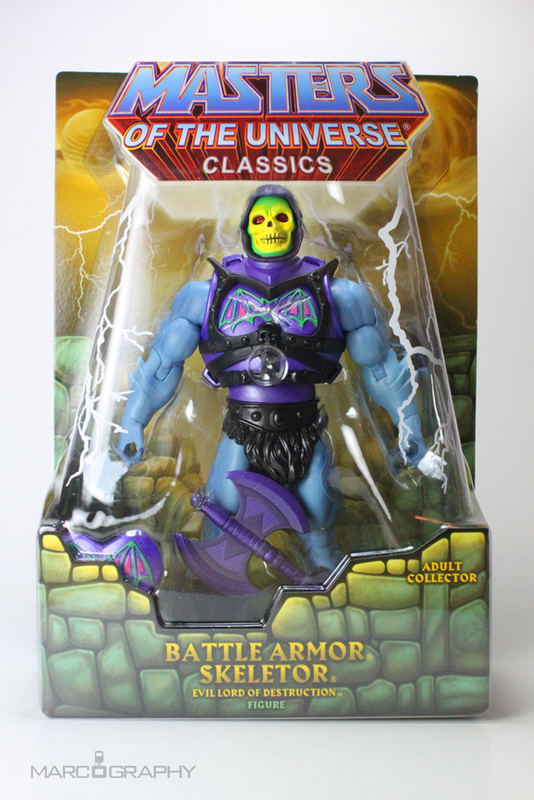 His BATTLE ARMOR was first created to help Skeletor penetrate through the Mystic Wall in order to kidnap Adora and secretly clone the Sorceress of Grayskull. 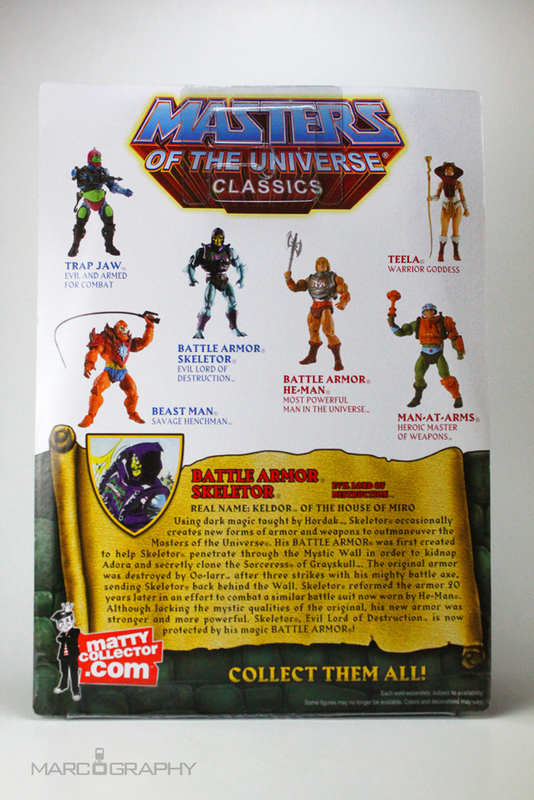 The original armor was destroyed by Oo-larr after three strikes with his mighty battle ax sending Skeletor back behind the Wall. 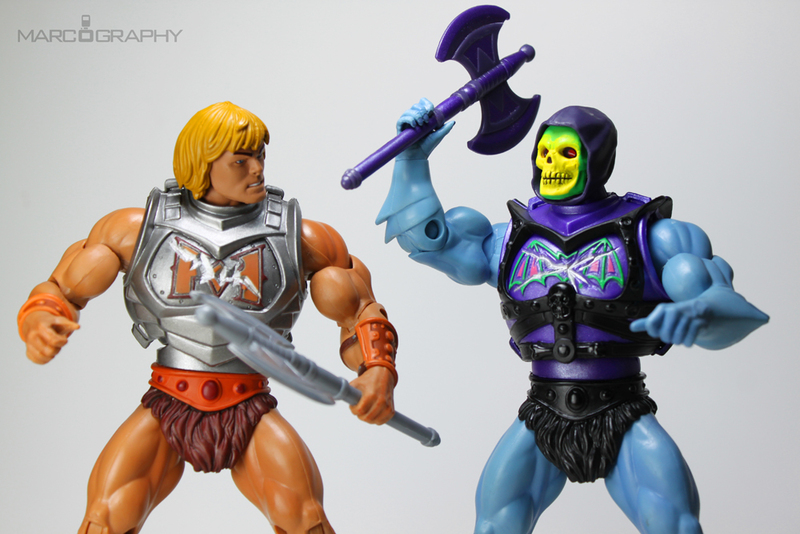 Skeletor reformed the armor 20 years later in a effort to combat a similar battle suit now worn by He-Man. Although lacking the mystic qualities of the original, his new armor was stronger and more powerful. 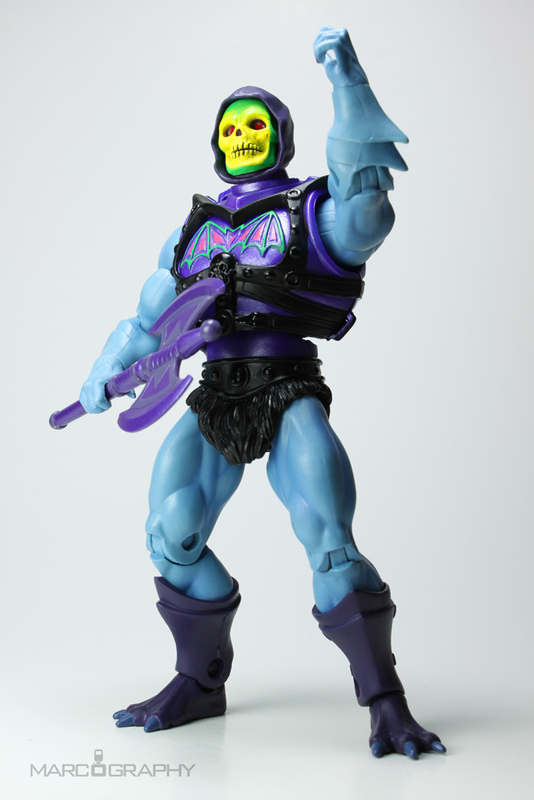 Skeletor, Evil Lord of Destruction is now protected by his magic BATTLE ARMOR.